If you follow me on Twitter or Instagram, you’ll usually catch me tweeting about food or snapping pictures of my latest culinary masterpiece. When I am not adding books to my research library, I am stuffing my kitchen with as many appliances and utensils as possible. In series’ three and four of Downton Abbey (the latter recently concluded in the UK and to hit the US in January! 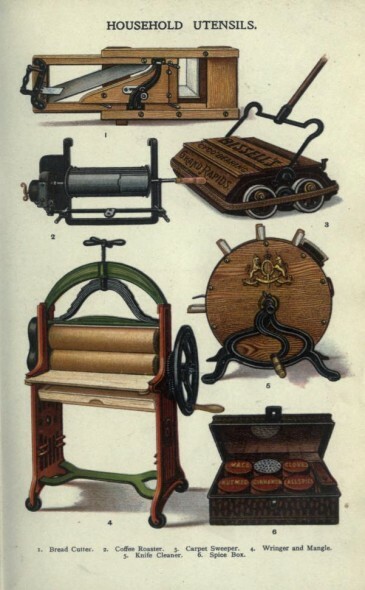 ), the progression of time downstairs has been shown through newfangled kitchen appliances. 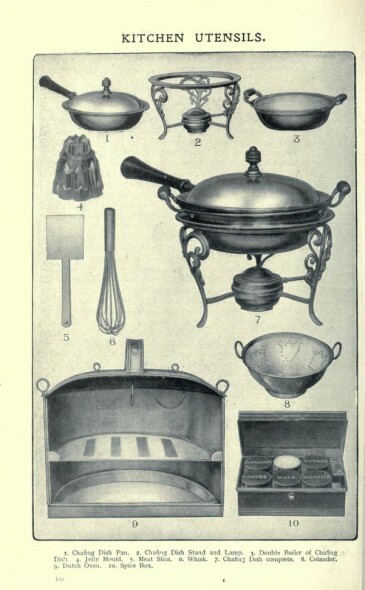 Though cooking in the early 20th century remained as time consuming as in the 19th century, there were a number of inventions–like electric toasters–that sped up the process and made getting food on the table much easier to manage (this was important after the war, when servants were expensive and difficult to come by). According to Mrs. Beeton’s specifications, the very best houses could be expected to spend upwards £100 (more than a cook or chef’s annual salary) to outfit a kitchen to its fullest degree! 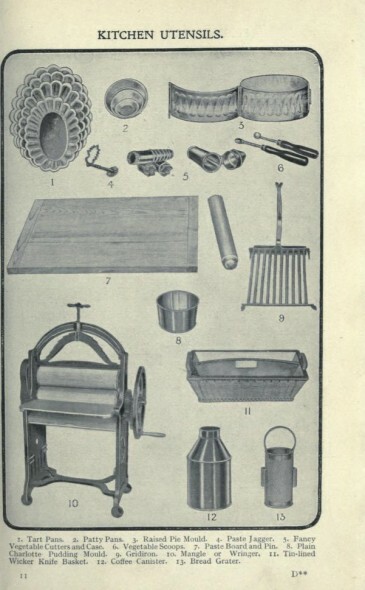 My grandmother was still using a mangle in the early 1950s! She said it worked very well… why would she throw it out. Sounds like how my grandmother feels about her old appliances, lol.